Heavy menstrual bleeding (also called menorrhagia) is excessive menstrual blood loss that interferes with a woman’s quality of life. Treatment depends on the underlying cause of the heavy menstrual bleeding. Your doctor will work with you to create a treatment plan. 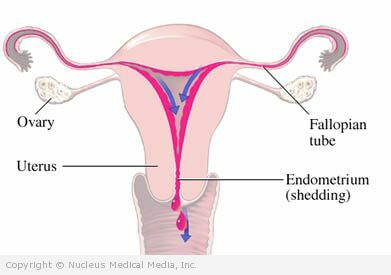 Endometrial ablation (removal of the lining of the uterus) — This procedure reduces your chance of becoming pregnant. Hysterectomy (removal of the uterus) — After this procedure, you will not be able to become pregnant. There are no specific steps to prevent this condition.